The night sky in the spring is packed with a plethora of galaxies just waiting to be observed and imaged. Recently I was browsing through my copy of Sky and Telescope's "Pocket Sky Atlas" by Roger W. Sinnott. I came across the pages that cover the constellations Virgo and Coma Berenices. After noticing how many "red" symbols were on the page representing galaxies in the area of these constellations, I had the idea of remotely imaging a particular area that would be condensed with some of these galaxies with a wide-field telescope. I then accessed the planetarium software on my computer, "Stellarium", to determine the best time to image a cluster of galaxies. After surveying the night sky in New Mexico in the software, setting the time of night roughly an hour and a half after sunset there, I found a grouping of island universes in Virgo that would be worth giving a shot at. I found a galaxy in the grouping that would be the "targeted center galaxy" for the image frame. This galaxy would be NGC 4461, a spiral galaxy in Virgo. I ended up taking a series of ten luminance images over a period of two nights on T14, a Takahashi FSQ Fluorite 160mm telescope with an SBIG STL-11000M CCD camera via the itelescope.net remote robotic telescope network. 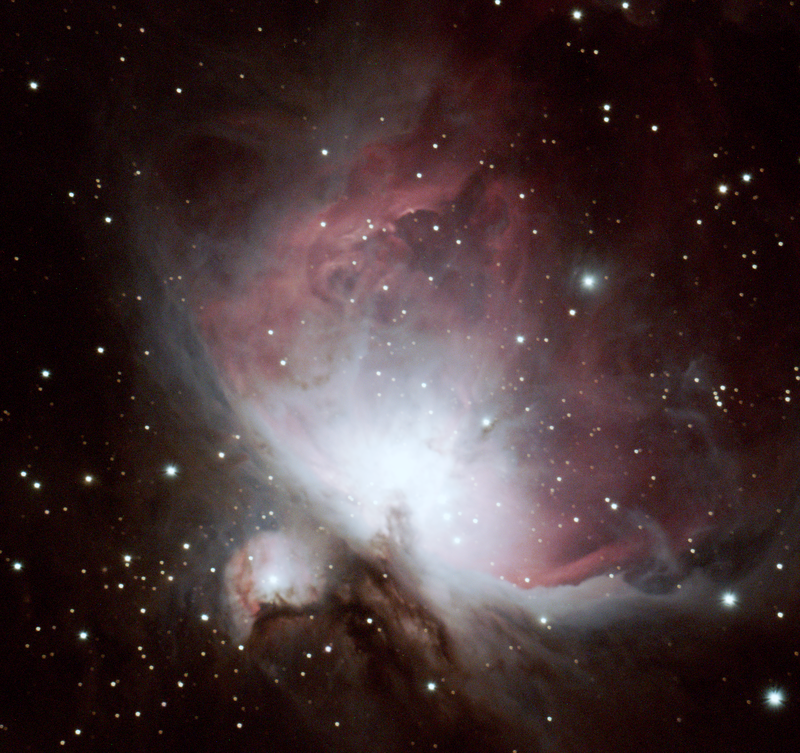 My associate, Muir Evenden, then processed the raw image files using the CCD image processing software PixInsight. What I found interesting with the results was all of the different types of spiral galaxies that were caught in the image. 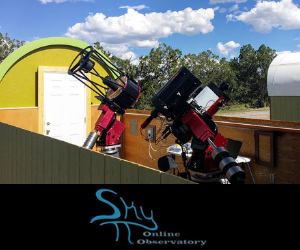 This type of data gathering could be a fun and interesting exercise for students participating in astronomy education projects. Students could be tasked with identifying the designations and galaxy types in the image field utilizing astronomy software and/or star atlases as I did. The galaxies caught in my image are located in the Virgo Cluster. This cluster of galaxies whose center are about 53.8 light-years away in the constellation Virgo. Comprising approximately 1300 (and possibly up to 2000) member galaxies, the cluster forms the heart of the larger Virgo Supercluster, of which the Local Group is an outlying member. Many of the brighter galaxies in this cluster, including the giant elliptical galaxy Messier 87, were discovered in the late 1770's and early 1780's and subsequently included in Charles Messier's catalog of non-cometary fuzzy objects. Described by Messier as a nebula without stars, their true nature was not recognized until the 1920s. The cluster subtends a maximum arc of approximately 8 degrees centered in the constellation Virgo. 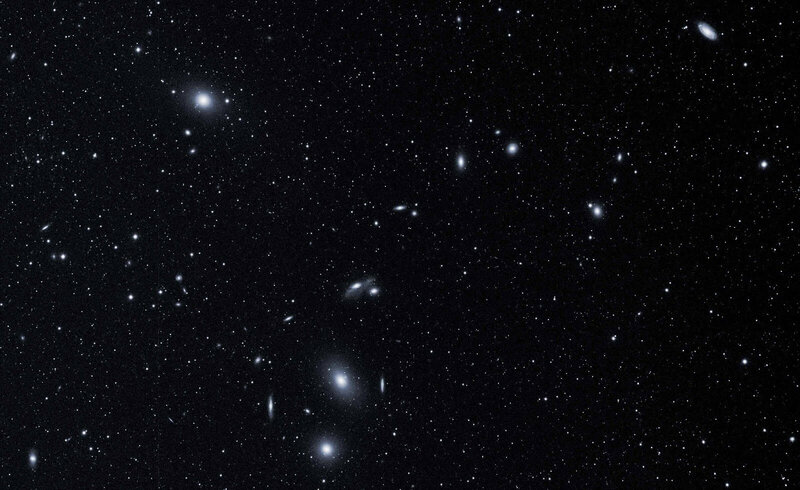 Many of the member galaxies of the cluster are visible with a small telescope. Its brightest member is the elliptical galaxy Messier 49; however, its most famous member is the also elliptical galaxy Messier 87, which unlike the former is located in the center of the cluster.